The Prize Jury consists of a minimum of one representative for each of the six continents; Europe, Africa, Asia, North America, Latin America, and Australia. Members of the Edelstam Prize Jury are appointed in their personal capacity and not as representatives of any organization. The Prize Jury and the Chairman of the Prize Jury are appointed for a period of two years and can be re-appointed. Membership changes over time in order to ensure the broadest possible scope of expertise, perspectives and issues. The work of the Prize Jury is of a charitable character; that is to say, no honorarium is paid. During July 2016, the Jury will chose a laureate from the 5-20 nominations presented from the Nomination Committee. The Prize Jury should consist of internationally, highly prominent people with various recognized experiences in the field of Human Rights. The members of the Prize Jury should be part of major networks and possess established contacts within the field of Human Rights. Ms. Caroline Edelstam is grandchild to Ambassador Harald Edelstam and the co-founder of the Harald Edelstam Foundation (board member) and the Edelstam Prize. Ms. Caroline Edelstam has been the Secretary General for African Medical & Research Foundation (AMREF) in Sweden, from 2009 to 2011. She has previously worked at Burson-Marsteller, from 2000 to 2009 and she has experience from a number of non-profit organizations, among others the Salvation Army, The Swedish Microcredit Foundation, the Foundation Min Stora Dag and has been a member of the editorial board for the Swedish Fundraising Council’s magazine from 2008 to 2010. Ms. Caroline Edelstam is ranked at CSR i Praktiken in 2011 as one of the most influential people within the field of CSR and sustainable development in Sweden for her work at AMREF Sweden. She graduated from the American University of Paris in 2000. Caroline was born on 2nd of September 1975 in Trelleborg, Sweden. Mr. Pascoal Mocumbi is the High Representative of EDCTP since March 2004. Mr. Pascoal Mocumbi is to raise the visibility of the EDCTP and gaining political support, particular within Africa, and to contribute to EDCTP’s fundraising activities. Mr. Pascoal Mocumbi became Prime Minister of the Republic of Mozambique from 1994 to 2004. Prior to that Mr. Pascoal Mocumbi headed the Ministry of Foreign Affairs during eight years and the Ministry of Health for six years. Mr.Pascoal Mocumbi received his medical degree from the University of Lausanne, did his internship in Switzerland, and practiced medicine as obstetrician and gynecologist in hospitals throughout Mozambique. As Prime Minister Mr.Pascoal Mocumbi led the establishment of National AIDS Council of Mozambique to coordinate the implementation of the national response to HIV. Mr. Pascoal Mocumbi served from 1989 to 1998 in the World Health Organization’s Task Force on Health and Development and is committed to the importance of public health as an essential arm for sustainable development. Mr. Pascoal Mocumbi dedicates a special professional interest to the maternal-infantile health, having given personal contribution, while Minister of health. 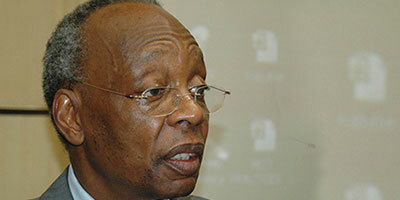 Pascoal Manuel Mocumbi was born on April 10th of April 1941. Ms. Shirin Ebadi is an Iranian lawyer, judge, lecturer, writer and activist. She received the Nobel Peace Prize in 2003 for her work on women’s and children’s human rights. Ms. Shirin Ebadi was Iran’s first female judge. Ms. Shirin Ebadi was forced to leave her office at the Iranian revolution in 1979. Since then, Ms. Shirin Ebadi as a lawyer defending opponents of the trials. The regime in Iran stamped Ms. Shirin Ebadi as a threat to the Islamic rule in the country. Ms. Shirin Ebadi says she sees no contradiction between Islam and fundamental human rights. In 2001 Ms. Shirin Ebadi received Raftopriset, for her efforts and in 1996 Ms. Shirin Ebadi received the Human Rights Watch prize for human rights and legal reform in Iran. Ms. Shirin Ebadi has also visited Sweden. In November 2009, the Nobel medal and diploma that Ms. Shirin Ebadi was awarded was confiscated by Iranian authorities together with others of her belongings. 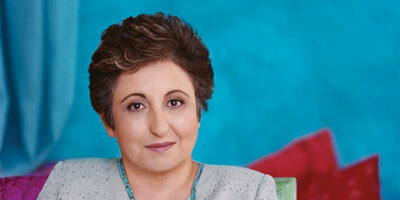 Ms. Shirin Ebadi was born on June 21st 1947 in Hamadan, Iran. 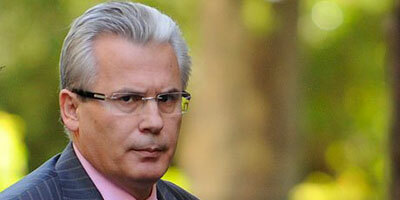 Mr. Baltasar Garzón was a Spanish judge seated on Spain’s Central Criminal Court, the Audiencia Nacional. Mr. Baltasar Garzón was the examining magistrate of the Juzgado Central de Instrucción No. 5, which investigates the most important criminal cases in Spain, including terrorism, organised crime and money laundering. In 1993/4 Mr. Baltasar Garzón was briefly a minister in the socialist government. After Mr. Baltasar Garzón return to the Audiencia Nacional, Mr. Baltasar Garzón led a series of investigations that helped convict a Spanish Socialist Workers’ Party (PSOE) minister as head of the Grupos Antiterroristas de Liberación (GAL) state terrorist groups. Mr. Baltasar Garzón came to international attention on 10 October 1998 when he issued an international warrant for the arrest of former Chilean dictator, General Augusto Pinochet for the alleged deaths and torture of Spanish citizens. Mr. Baltasar Garzón also filed charges of genocide against Argentine military officers on the disappearance of Spanish citizens during Argentina‘s 1976-1983 dictatorship. Eventually Adolfo Scilingo and Miguel Angel Cavallo were prosecuted in separate cases. Scilingo was convicted and sentenced to over 1000 years incarceration for his crimes. Mr. Baltasar Garzón issued indictments for five Guantanamo detainees, including Spaniard Abderrahman Ahmad and United Kingdom resident Jamil El Banna. Ahmad was extradited to Spain on 14 February 2004. El Banna was repatriated to the United Kingdom, and in 2007, Mr. Baltasar Garzón dropped the charges against him on humanitarian grounds Mr. Baltasar Garzón was indicted in April 2010 for exceeding his authority when investigating crimes committed by the Franco regime that were included in an amnesty and suspended on 14 May 2010, pending trial. 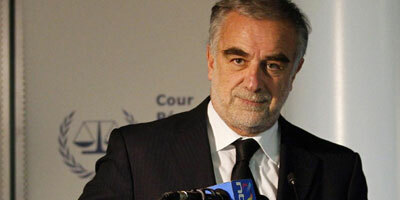 He has been given permission to work at the International Criminal Court in The Hague for 7 months from May 2010. Mr. Baltasar Garzón was born 26th of October 1955. Mrs. Eileen Donahoe is a distinguished fellow at the Centre for International Governance Innovation where she focuses on Internet governance, global digital policy, international human rights and cybersecurity. 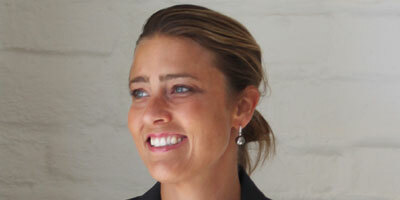 Eileen also sits as a Commissioner on the Global Commission for Internet Governance (GCIG). 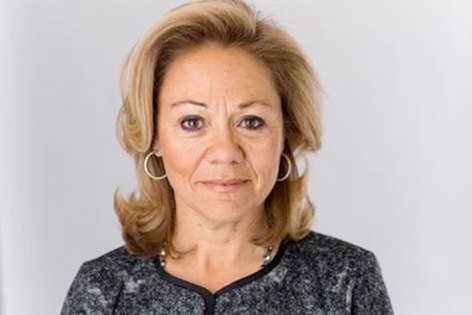 Previously, she served as the first US Ambassador to the United Nations Human Rights Council in Geneva, and as director of global affairs at Human Rights Watch where she represented the organization worldwide on human rights foreign policy, with special emphasis on digital rights, security and governance. Mrs. Donahoe is a member of the Freedom Online Coalition working group on freedom and security focused on bringing a human rights-based approach to cyber security policy. She is a member of the World Economic Forum Council on the Future of Human Rights and a member of the University of Essex Advisory Board on Human Rights, Big Data and Technology. She co-chaired the NETmundial Initiative on global multi-stakeholder Internet governance. She is an affiliate at the Center for International Security and Cooperation and a member of the board of trustees at the Freeman Spogli Institute at Stanford University, where she collaborates on a project working to bring the deliberative democracy to Internet governance processes. In her earlier career, Eileen was a technology litigator at Fenwick & West in Silicon Valley. She holds a B.A. from Dartmouth, an M.T.S. from Harvard, an M.A. in East Asian studies from Stanford, a J.D. from Stanford Law School and a Ph.D. in ethics and social theory from the Graduate Theological Union at the University of California, Berkeley. She is a member of the Council on Foreign Relations. Mr. Philip Alston is the John Norton Pomeroy Professor of Law at New York University. From 2004 to 2010 he was UN Special Rapporteur on extrajudicial, summary or arbitrary executions and undertook official fact-finding missions to: Sri Lanka, Nigeria, the Democratic Republic of the Congo, the Philippines, Israel, Lebanon, Albania, Kenya, Brazil, Central African Republic, Afghanistan, the United States, Albania and Ecuador. He was a member of the Group of Experts on Darfur appointed in 2007 by the UN Human Rights Council, and was Special Adviser to the UN High Commissioner for Human Rights on the Millennium Development Goals from 2002 to 2008. 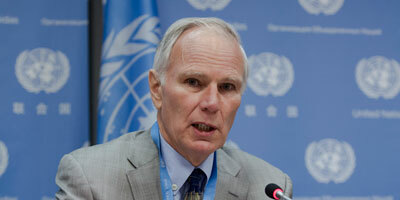 He chaired the UN Committee on Economic, Social, and Cultural Rights for eight years until 1998, and at the 1993 World Conference on Human Rights Mr. Philip Alston was elected to chair the first meeting of the Presidents and Chairs of all of the international human rights courts and committees (including the European and American Human Rights Courts and the African Commission). He was UNICEF’s legal adviser throughout the period of the drafting of the U.N. Convention on the Rights of the Child and directed a major project funded by the European Commission, which resulted in the publication of a Human Rights Agenda for the European Union for the Year 2000.